In the previous two posts, I made two principal points: In the first post, I noted that doubt about the efficacy of government intervention to address HICC may become as much a barrier to action as the denialist strategy of manufacturing doubt about the scientific basis of climate change. In the second post, I illustated this notion by surveying the range of climate policie across the entire spectrum. In this final post, I take up the roles of worldviews and ideologies, and how they may give rise to a new type of “merchants of doubt” in the economic realm. The concepts of worldviews and ideologies are central to the full analysis of the climate change issue. 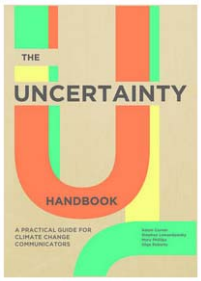 In his recent review of the role of psychology in limiting the impact of climate change, Stern made the point that “values, attitudes, beliefs, worldviews, and emotional reactions” (Stern 2011, p. 309) are crucial players in policy and that “public support for policies to limit climate change is associated with environmental worldviews and fundamental values” (Stern 2011, p. 309). He also remarks that, “Opposition to such policies is also linked to values and political ideology” (Stern 2011, p. 309). I would go further and say that values, worldviews and ideologies are associated with all policy responses to Human-Induced Climate Change (HICC). Both left wing and right wing and even third way ideologies are involved here. For example, the free market policy response to climate change has many connections with the ideological movement towards neo-liberalism and market fundamentalism that has been a feature of economic thinking over several decades. Some form of what might be called “free marketism” is probably a relatively common ideological position even amongst those who recognise the reality of HICC and know that the science is valid. This is particularly relevant in the economics discipline where free-market driven policies responses to climate change are frequently espoused. It is particularly important here to recognise that different ideological positions are held by different scientists even when they agree on the science. Rational individuals listen to and defer to the opinions of the overwhelming majority of climate scientists who propose that HICC is real and that its impacts are significant and wide-ranging. What should the response be, however, when highly respected scientists, including economists, engineers, chemists and agricultural scientists, agree that HICC is real but differ greatly with respect to the policy response to this threat. 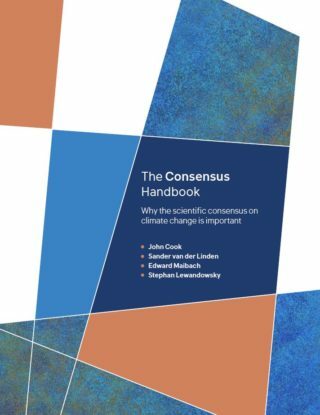 There may be a solid consensus among climate scientists that HICC is real but there is no consensus at all among scientists on the next most crucial question – What should we do about it? So let me bring this issue of worldview and ideology back to the spectrum of policy responses. I have argued that the ideologically-driven battle over whether climate change is real or not will now be replaced by an ideologically-driven battle over what should be done about it. In particular, those who shape public policy including academics, and who all agree that HICC is real, will increasingly be divided in terms of their ideologies and worldviews and how these factors inform their respective positions on policy responses. The different sides of the political spectrum will now both be able to claim (quite accurately) that there is strong scientific support for their opposing positions. The danger is that ideologies that underpin market-based policies, and which are also associated with denialist positions, will again work to cast doubt over what climate policies are to be implemented and, more particularly, over whether they should be government lead or market lead. The “merchants of doubt” will not focus their attention on issues of science but on issues of policy. As I pointed out in the figure in the previous post, shown again below, the place on the policy spectrum where this becomes most crucial is where market-based policy (the C threshold) engages with a mixed policy position (the D threshold). What will this battle look like? First, the battle will not be between expert climate scientists and self-educated bloggers. Nor will it be between “warmists” and “deniers”. The lines that will separate the opponents in this emerging front will be more difficult to identify. The battle will be between, on the one hand, intelligent and highly respected scientists, politicians and business people who calmly argue that HICC is real and that both government policies and private actions are needed and, on the other hand, intelligent and highly respected scientists, politicians and business people who calmly argue that HICC is real and that markets will determine the best way to respond. In other words, the contest will be between those who want real action through government intervention and business and community action, and those who want real action by the invisible hand of the market only. This will be a major issue because this second group, the free marketeers, will cast doubt on the need for deliberate and targeted regulation of economic activity. In essence, the free-marketeers will argue that nothing should be done because the market will naturally sort out the best response in the most efficient and effective manner. The free marketeers are the new (economic) merchants of doubt because they will bring uncertainty, suspicion, and distrust to whether any specific action should be taken to address HICC and to the motives for doing so. The really difficult issue here is that unlike the debate between the climate scientists and the denier bloggers, this debate will be between respected scientists who differ only in their scientific worldviews. The debate will be based not on the acceptance or rejection of science but on the more difficult territory of what kind of scientific worldview a scientist/economist holds and bases their research on. As societies all over the planet grapple with the questions of “what” should be done (e.g., tax or direct action), “how” should it be done (e.g., government or markets), and “who” should do it (e.g., individuals, companies, governments, international bodies), perhaps the most crucial issue of all will once again get lost in the furore: “When” should action be taken is the most crucial issue in climate change because the more action is delayed the less any of the other questions matter. This is why the debate over HICC and the casting of doubt over the science has been so destructive and why the new debate over how action should be driven may have similar reprehensible repercussions. The market-lead HICC supporters will cast doubt over concerted and timely (if that is any longer possible) government and community-based action and once again this will lead to inaction. Many long-standing social problems have festered for decades due to debates over whether government or the private sector should act to solve these issues. These include child and adult obesity and advertising, inequality and poverty, homelessness, environmental degradation and the loss of indigenous heritage. In recent decades the pendulum has swung much more towards corporate self-regulation rather than government regulation, towards market-lead solutions rather than community-lead solutions. The same equivocation will probably be the case with the climate response debate. The role of economists will be increasingly important in all this as the need for economic intervention and government direction setting becomes more urgent. One important group who will argue for the market-lead response to climate change will be conservative economists. Although the great majority will agree that HICC is occurring, we will also hear from this group a range of arguments against direct government-lead action to address climate change. These arguments will appear in many forms but they will tap into the usual psychological biases and weaknesses that previous doubt merchants have preyed upon (Gifford 2011). The arguments of the new merchants of doubt (e.g. economists who support HICC and argue for market lead “policy” response) will raise doubt and bring about inaction. This will create a very difficult barrier for those wanting to take targeted action to address HICC. One very real and unpalatable possibility here is that a new anti-climate-change alliance will emerge between the radical denialists and those with a scientific and rational perspective on HICC but who endorse the free market response. Two powerful forces may bring these two groups into an expedient coalition. First, both will share free-market ideologies and so government regulation of climate change policy will be anathema to their worldviews. This will occur irrespective of whether they hold a scientific or anti-scientific worldview. The connections they have in believing that government regulation needs to be minimised at all cost will override any divergent views they have about the scientific validity of climate science. Second, money and the funding of research will form a convenient bridge between radical denialists and scientists seeking backing for their research. My prediction is that corporate and private funding of hyper-technologies and geo-engineering efforts such as carbon sequestration and sulphate seeding of the upper atmosphere will increase dramatically in the coming years. Again, the outcome of all this will be to stymie direct government-led legislation and regulation to maintain the status quo of free-market operations. In summary, the climate change policy spectrum shows that the battlelines of the climate wars will shift and new alliances will be forged as the need for climate action and intervention in markets and economies inevitable grows. In particular, it shows that the analysis of worldviews, values, scientific paradigms and political ideologies will take centre stage in our response to HICC. The need for a deeper understanding of how our metatheories and worldviews affect the choices and decision we make will become ever more crucial as the urgency of action escalates. Gifford, R 2011, ‘The dragons of inaction: Psychological barriers that limit climate change mitigation and adaptation’, American Psychologist, vol. 66, no. 4, pp. 290-302. Stern, P 2011, ‘Contributions of Psychology to Limiting Climate Change’, The American Psychologist, vol. 66, no. 4, pp. 303-314. This is the first post in a three-part series that examine the policy spectrum that emerges from the landscape of values and worldviews. Policy responses to human induced climate change (HICC) cover a spectrum of views ranging from the radical denier’s dismissal of any need for policy to the radical interventionist call for policies that require immediate and wide-ranging transformation of the economic system (see Figure 1). Because they fear the effects of devastating climate change over the coming decades, radical interventionists call for policies that will require a mandatory shift away from a carbon-based economy. Radical interventionists generally hold the view that immediate and harsh, perhaps even authoritarian, government action is required to avoid the catastrophic environmental, social and economic disruption that will unfold if climate change continues unabated. At the other end of the spectrum, the radical deniers claim that no policy response is needed as they deny the scientific evidence for HICC. These two opposing views also represent vastly different worldviews regarding the role of government and business in society. Where interventionists want direct government regulatory control, denialists want small government, the unhindered functioning of free markets and freedom for the businesses that operate in those markets. In between these two positions lie a variety of policy options with their own associated worldviews. Figure 1 shows the spectrum of policy responses defined by the opposing positions of acceptance of HICC and radical government intervention as the most appropriate government response and radical denial of HICC and the ideological defence of free markets against regulation and government interference. Between these positions there are battle lines that shift as a function of changing public and private attitudes, the ongoing reality of climate change impacts and debate over the role of government and business. Although their influence has worked in very different ways, both the radical interventionist view and the radical denialist view inhibit the development and implementation of well-considered, timely climate policies. In particular, denialist activities have been successful in weakening the social and political will to address global warming in a concerted and pro-active manner. But as the science accumulates, dramatic weather events occur and observable environmental impacts become more evident, the power of the denialist position to influence business and political leaders and public opinion will diminish. Even if the radical denialist position continues to influence public opinion, it will gradually hold less sway over policy makers and corporate leaders. It will not be so much the mounting scientific evidence that will convince many to take HICC seriously as it will the economic impacts of global warming through such realities as rising insurance premiums, emergency service costs, special assistance payments for drought and flood affected regions and the relocation costs of coastal housing and infrastructure. The emergence of politically sensitive topics such as responding to the issue of climate refugees will also impact greatly on public opinion. The increasing acceptance of HICC will not, however, automatically mean that governments and business will take the proactive steps necessarily to address climate change impacts. Greater recognition of the scientific reality of global warming will not necessarily shift worldviews that are suspicious of government regulation or unilateral action by a few progressive businesses. Opposition to government action may even be galvanised by increasing acknowledgement of HICC. As the realities of HICC impacts hit home, the real battle ground will become less over whether HICC is a fact or not, and more over what the policy response should be. The battle will move from one defined by scientific versus anti-intellectual worldviews to one of interventionist worldviews versus free market worldviews. As the urgency of the climate crisis escalates, the debate over government regulation versus market-based solutions will take centre stage. Of course, this is already happening to some degree with the contrasting policy positions of the Commonwealth Government (moderate interventionist position via the carbon tax and other legislated measures) and the Opposition (free market position via its Direct Action Plan). However, the debate over whether interventionist or free market policies offer the best pathway to responding to HICC will continue to grow. Doubt about the efficacy of government intervention to address HICC may even become as much a barrier to action as the denialist strategy of manufacturing doubt about the scientific basis of HICC. To unpack this topic further I need to describe a few more features of the policy response spectrum. The next two posts will unpack those features. Rogers, M, Curtis, A & Mazur, N 2012, ‘The influence of cognitive processes on rural landholder responses to climate change’, Journal of Environmental Management, vol. 111, pp. 258-266. As Carmen Lawrence has pointed out here in her series on economic growth and human well-being, the issue of climate change is directed related to that of economic growth. Our endless quest for growth is leasing us up against planetary limits in resources (resource limits) and in the earth’s capacity to absorb the outputs of that growth (sink limits). Climate change is essentially an atmospheric sink limit that demonstrates the planet’s growing inability to absorb further emissions of carbon dioxide without significant disruption to the climate system. Growth and climate change are running into each other and this impasse will not be solved without a transformation in the way we define, measure and regulate economic growth. One of the central issues with growth is that economies are both regulated (by governments) and self-regulated (by organisations and families and personal behaviours) according to certain economic indicators. The dominating player among those indicators is Gross Domestic Product (GDP). The problems associated with using GDP as a global indicator of national progress are well known. In September last year the former Secretary to the Treasury, Dr Ken Henry, made a speech in which he pointed out that policy makers need to “appreciate [the] limitations … of GDP as a measure of economic well-being or progress” (Henry, 2010, p. 23). Cautionary warnings like this have been made for many decades (see, for example, Kennedy 1968) and yet our infatuation with the GDP indicator continues to such a degree that growth is taken as the general measure for economic, social and cultural advancement at every level of decision-making from the corporate, to the national and global levels. What I want to point out here is that individuals, organisations, governments and virtually the whole international economies self-regulate their economic behaviour according to this single measure. My point is not so much that GDP is a bad measure of real, sustainable and sustaining growth (which it is), but that we need such measures to set our economic direction at all levels of social existence from the micro to the macro and mundo. While GDP figures are released only every quarter, the flood of more specific indicators of economic performance are announced daily and their primary role is to act as proxies for estimating annualised GDP figures and predictors of future growth rates. In between the quarterly GDP announcements we use company profits, interest rates, job advertisements, home loan approvals, house prices, unemployment rates, car registrations and many other economic indicators as indicators for economic growth and adjust our economic goals and future plans at the state, national and international levels accordingly. Whether it was intended as such or not, GDP, as a measure of economic growth, has become the compass by which we set our course into the future, the main gauge by which nations and the global community judge their ongoing progress. The problem is that this GDP compass is setting us off in a completely wrong direction if we want to attack the true causes of climate change and secure a sustaining and sustainable environment for advancing national or international development. Economists have long noted the problems in how GDP growth is calculated and used (Duncan & Gross 1995; Stiglitz, Sen & Fitoussi 2009). David Gruen (Director of Macroeconomics at the Department of the Treasury) recently argued that the way we currently use GDP actually risks “the wellbeing of future generations” (Tandon 2010). In the absence of a more inclusive measure of development, the holy grail of achieving endless growth as measured by GDP is no longer something to celebrate or even aim for. The thing is, however, that we need some measure of national development and while there are several alternative measures in the wings (Hagerty et al. 2001), none of them is ever likely to compete with, or even complement, GDP as a global indicator of national growth. What is needed is a new kind of regulatory intervention to reshape and re-contextualise GDP itself. Of course, GDP needs to include and integrate broader indicators of production including those that measure the input of cultural, biological and environmental systems. As the Stiglitz-Sen-Fitoussi (2009, p. 12) report states, “the time is ripe for our measurement system to shift emphasis from measuring economic production to measuring people’s wellbeing” (emphasis in the original) and, I would add, people’s wellbeing cannot be separated from the health of cultures and natural environments. The need to broaden GDP (or someother measure of national advancement) is clear but what is not so well acknowledge is the self-regulating power that such measures hold over personal, familial and communal behaviours and economic choices. Thus, we not only need a more inclusive and balanced measure of growth, as represented by a reformed GDP, but we also need new regulatory mechanisms for harnessing the self-regulatory power that such national measures unlock. Ken Henry points out, “the metrics we use to measure our goals affect the path we take to reach our goals” (Henry, 2010, p. 24). This means that our indicators of macro-level national progress and growth regulate the micro- and meso-level behaviours we engage in (as individuals, organisations and communities) to pursue those national goals. Supporting the recommendations of Stiglitz, Sen and Fitoussi and others, the meta-regulation of GDP would involve the deliberate broadening of the indicator to include and integrate measures of social, cultural and environmental well-being. But even more importantly, the lens of meta-regulation provides a means for seeing how our inherent enthusiasm for achieving “growth” can be expressed via more sustainable activities and more enriching goals. A root-and-branch solution to climate change will not emerge without the meta-regulation of (inter)national measures of economic advancement. This, of course, also means that there will need to be some kind of international co-ordination of such measures. Whatever the actual constituent elements of those measures will be, the central role of meta-regulation and its co-ordinated governance will need to be acknowledged. Meta-regulation provides a new lens for understanding the dynamics involved in our infatuation with GDP and how we might alter it to target more balanced goals. For example, GDP and its ancillary indicators constitute a dynamic feedback system that we and our organisations use to inform our mindsets, behaviours, goals and intentions. This is particularly true for international and global issues such as climate change, which cross all kinds of national and jurisdictional boundaries. Focusing on the meta-regulatory potential offered via indicators such as GDP can unlock organisations’ inherent energies for attaining goals. Whereas direct command-and-control regulation enforces standards through imposing sanctions and restrictions, meta-regulatory interventions aimed at improving indices of success tap into our self-generated capacities for change and creativity (Parker 2002). Through regulating the goal of development rather than trying to control behaviour itself, the conditions for self-regulation, self-determination and innovation are supported rather than suppressed. And so the meta-regulatory task of guiding private and public organisations to achieve certain goals “is premised upon a change in mentalities or culture, rather than on coercion” (Scott 2003, p. 214). If our measures of success, as exemplified in GDP growth, continue to tell us that unlimited production and consumption of goods and services is the great national goal and that we need not bother with the long-term, planetary implications of our economic actions, then the multiple crises that face us in the 21st century will only deepen. In particular the climate change crisis will deepen and, as Naomi Oreskes has pointed out, lead to much greater and more direct regulatory actions of the command and control variety. Such old-style regulations will themselves have many unforeseen impacts on natural environments as well as social conditions. I don’t see that regulatory option ending in anything but unwanted consequences and massive social unrest. On the other hand, meta-regulatory interventions have the potential to capture innate social and psychological forces that use people’s inherent drives for healthy innovation and balanced growth of a more grounded and holistic nature. The meta-regulation of these growth indicators can help us turn a reflexive eye onto the compasses we use to set the direction of our domestic as well as national economies. The alternative of staying the course with a broken compass is not a sensible option. Duncan, J & Gross, AC 1995, Statistics for the 21st century: Proposals for improving statistics for better decision making, Irwin Professional Pub. , Chicago. Hagerty, MR, Cummins, RA, Ferriss, AL, Land, K, Michalos, AC, Peterson, M, Sharpe, A, Sirgy, J & Vogel, J 2001, ‘Quality of Life Indexes for National Policy: Review and Agenda for Research’, Social Indicators Research, vol. 55, no. 1, pp. 1-96. Kennedy, RF, Remarks of Robert F. Kennedy at the University of Kansas, March 18, 1968, University of Kansas. Available from: <http://www.jfklibrary.org/Research/Ready-Reference/RFK-Speeches/.aspx>. [April 14]. Morgan, B 2003, ‘The Economization of Politics: Meta-Regulation as a Form of Nonjudicial Legality’, Social & Legal Studies, vol. 12, no. 4, pp. 489-523. Parker, C 2002, The Open Corporation, Cambridge University Press, Melbourne. Stiglitz, JE, Sen, A & Fitoussi, J 2009, Report by the Commission on the Measurement of Economic Performance and Social Progress, Commission on the Measurement of Economic Performance and Social Progress. Tandon, S, 17th Sept. 2010, Treasury admits GDP used inappropriately, ABC. Available from: <http://www.abc.net.au/news/stories/2010/09/17/3015176.htm>. This is an updated and extended version of an article that first appeared on The Conversation. There is a fundamental fault line that runs through the heart of the climate change issue in Australia. Privately, we take it seriously while publicly we do almost nothing. The horrendous floods that we have witnessed in many states in recent months provide a glimpse of the social, environmental and economic impact that climate change is having on the Australian economy and a foretaste of perhaps even worse things to come. And yet organisations, including governments and corporate businesses, seem incapable of developing an adequate response to the problem. The Gillard government’s extraordinary proposal of reducing climate change funding to pay for flood damage is an example of the fickle nature of government views on this issue. The lack of any substantive alternative policies concerning climate change issues from the conservative opposition speaks of their completely inadequate understanding of the level of scientific knowledge on the topic. Even though the threat of climate change and the potential costs of carbon reduction schemes have been known for well over a decade, the private sector has largely ignored the imperative for proactive action and has shown no concerted leadership for tackling the significant changes that organisations must make now or in the very near future. To quote a recent editorial in Fairfax’s The National Times, “This country is regarded as a policy laggard”. And yet, despite the national organisational inaction, privately most Australians clearly want something to be done to address climate change and they would like it done sooner rather than later. A key finding of the research is the link between climate change inaction and an erosion of belief in political leadership, trust and credibility. So, why is there such a disparity between private attitudes and public inaction? Aren’t governments supposed to be sensitive to longstanding and broad-based public opinion? Aren’t organisations much more responsive now to consumer and community concerns? The misalignment seems mystifying, even paradoxical. 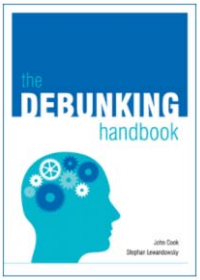 It could be, as the historian Naomi Oreskes (2010) has recently shown, that the influential efforts of some conservative ideologues and think tanks have bolstered scepticism towards climate science through the deliberate manufacturing of doubt. But this still does not account for the massive gap between private opinion and the lack of organisational response. There are, of course, many challenges that accompany an adequate response to the climate change imperative. Real change requires resources, time and energy. There’s also the need for new ways of thinking that makes transition difficult. On the other hand, organisations stand to gain many benefits from addressing the crisis – greater economic efficiencies, the creation of news skills, and the development of values that support innovation. To give but one example of the economic benefits of addressing climate change, Europe has managed to cut emissions by more than 16 per cent since 1990, while its economy grew over 40 per cent during that same period. Given the level of personal support, risks involved in inaction and the potential benefits of acting decisively and quickly, the difficulties with countering the deniers or implementing climate policy or managing organisational change seem rather minor. So again, why the ongoing prevarication and inaction? It seems that, for various reasons, our private concerns about the climate crisis are being compartmentalised into those that we express at home as concerned citizens and those that we express (or not) at work as workers. Our personal values are separated from the values expressed by the organisations we belong to and the businesses we work for. The values that we hold at home are not being expressed publicly in the decisions we make and the conversations we have at work. The paradox and ambiguity of this duality results in a state of inaction and “stuckness” (Browne & Bishop 2011, p. 358). In their paper on the role of paradox in climate change and sustainability policy in Australia, Browne and Bishop argue that there are numerous paradoxes built into modern societies that cause both internal and interpersonal conflict and which result in a kind of avoidance of action on complex and conflict-ridden issues like climate policy. Browne and Bishop point out that one resolution to this problem of oppositional paradox resulting in inaction is to “reflect on the values”, “worldviews” and “ethical understanding” that led to the stalemate in the first place. This avenue for extracting ourselves from the “stuckness” that characterises climate policy in Australia requires us to reflect on and critically question how we express our personal values on environmental and climate issues in public spaces and, in particular, in the crucial realm of organisational life and the workplace. We know from ethics research that, where values and opinions are not expressed, people will rationalise the direction of their response in ways that correspond to, what some researchers have called, “moral muteness” (Drumwright & Murphy 2004). The result of this is inaction. On the other hand, employees can also find compelling reasons for expressing their values in ways that actively deal with the difficult moral issues they face in the workplace (Samuelson & Gentile 2005). A new approach to business ethics called “Giving Voice to Values” (GVV) (Gentile 2010) offers an interesting way to view the compartmentalisation of values and the inhibiting and enabling factors that accompany conflict and ethical dilemmas. Looking at these issues can help us to better understand and overcome the barriers to acting on and voicing values as they relate to organisational responses to moral challenges like climate change. GVV assumes that changes in organisational behaviour require at least one person to express values that support such changes. There are, however, many inhibiting barriers that stymie the expression of values in the workplace. These can come from many different sources but they generally fall into a small number of categorises of justification and rationalisations (Ashforth & Anand 2003; Heath 2008), for example locus of responsibility (“it’s not my job to address climate change issue at work”), immateriality (“no one is going to be hurt by inaction”) or legality (“we just need to follow the minimum legal requirements on this”). Organisational climates that reinforce such inhibiting arguments and which do not provide open forums for the expressions of values are difficult to counter and yet, if organisations don’t change, nothing will change (other than the increasing environmental and social costs of escalating climate change). We need to start holding these conversations and begin to voice our values and opinions in the workplace and in decision-making forums at all levels. Climate change is a public, not a private issue. Above all it is an organisational issue. If governments and businesses and their employees and stakeholders don’t tackle this issue with the intensity and seriousness it deserves, then the climate crisis will continue to accelerate and the droughts and extreme events like those we have recently experienced will occur with greater frequently and severity. The cultural climates of organisations will need to change if we are to meet the challenge of global atmospheric pollution. One crucial way that will occur is through ordinary people expressing their concerns about climate change in the conversations they hold, the decisions they contribute to, the feedback they give, the policies and strategies they implement and the views they express in the workplace. Ashforth, BE & Anand, V 2003, ‘The normalization of corruption in organizations’, Research in Organizational Behavior, vol. 25, pp. 1-52. Browne, A & Bishop, B 2011, ‘Chasing Our Tails: Psychological, Institutional and Societal Paradoxes in Natural Resource Management, Sustainability, and Climate Change in Australia’, American Journal of Community Psychology, vol. 47, no. 3, pp. 354-361. Climate Institute 2010, Climate of the Nation: Australians’ Attitudes towards Climate Change and its Solutions, Climate Institute, Sydney. Editorial March 29, 2011, ‘Australia lags as the rest of the world acts’, The National Times. Gentile, M 2010, Giving Voice to Values: How to Speak Your Mind When You Know What’s Right, Yale University Press, New Haven, CT.
Heath, J 2008, ‘ Business Ethics and Moral Motivation: A Criminological Perspective’, Journal of Business Ethics, vol. 83, no. 4, pp. 595-614. Leiserowitz, A 2006, ‘Climate Change Risk Perception and Policy Preferences: The Role of Affect, Imagery, and Values’, Climatic Change, vol. 77, no. 1, pp. 45-72. O’Brien, KL & Wolf, J 2010, ‘A values-based approach to vulnerability and adaptation to climate change’, Wiley Interdisciplinary Reviews: Climate Change, vol. 1, no. 2, pp. 232-242. Oreskes, NCEM 2010, Merchants of doubt : how a handful of scientists obscured the truth on issues from tobacco smoke to global warming, 1st U.S. edn, Bloomsbury Press, New York. Available from: WorldCat. Samuelson, J & Gentile, M 2005, ‘Get Aggressive About Passivity’, Harvard Business Review, vol. 83, no. 11, pp. 18-20.